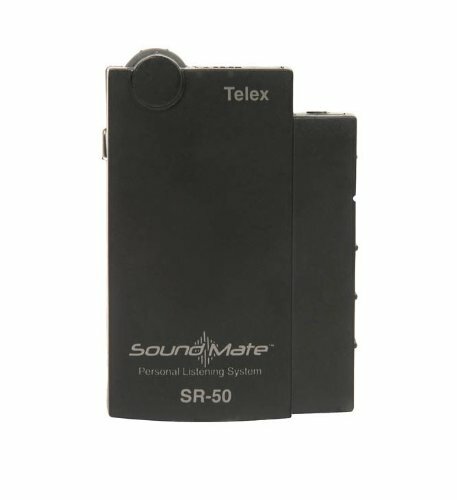 The Telex SR-50 single channel receiver operates on 17 factory preset channels in the 72 to 76 MHz frequency band and is designed to operate with the Telex TW-6, AAT-2, PST-16, ST-200, PST-170, and ST-300 transmitters. Provides clear reception and the simplicity of a fixed channel. This economical receiver operates on one of 17 fixed narrow-band frequencies in the 72-76 MHz band. Ergonomic raised volume control knob make level adjustments easily accessible by feel. Recessed headphone jack provides extra protection for earphone connections. Two AA batteries give up to 30 hours continuous battery life. If you have any questions about this product by Telex, contact us by completing and submitting the form below. If you are looking for a specif part number, please include it with your message.